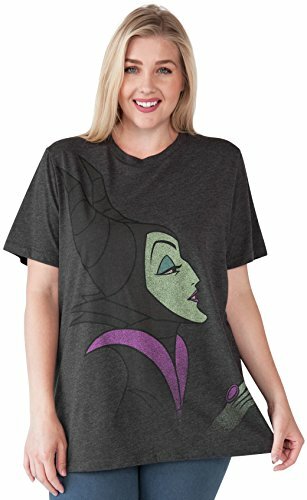 It’s no secret I love Disney movies. There aren’t many of them I don’t like. 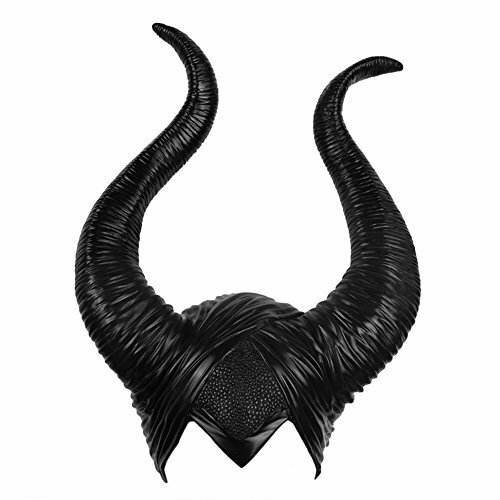 In fact, I can’t even think of one off the top of my head. Growing up I loved the animated films, and truth be told, I still do. But more recently I have been enjoying the remakes and live-action versions of the same films that I loved as a child. They are just as magical to me. As a musician, I love musicals. I love seeing my favorite animated movies come to life with the theatrics and live actors. It’s like the grown-up version of animated cartoons come to life! 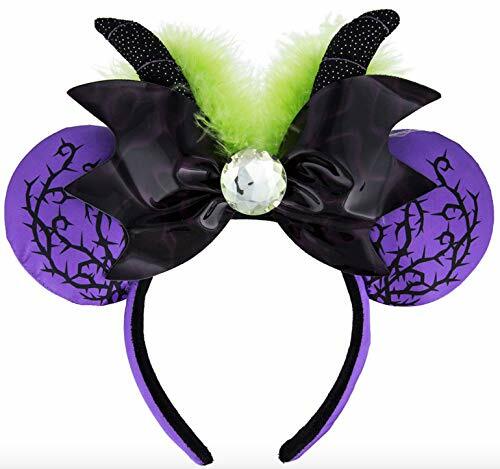 And Maleficent is one of my favorites! 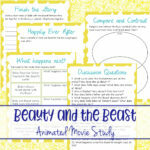 Looking for a movie study for your younger kids? 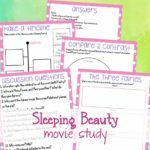 Download our Sleeping Beauty Movie Study!! 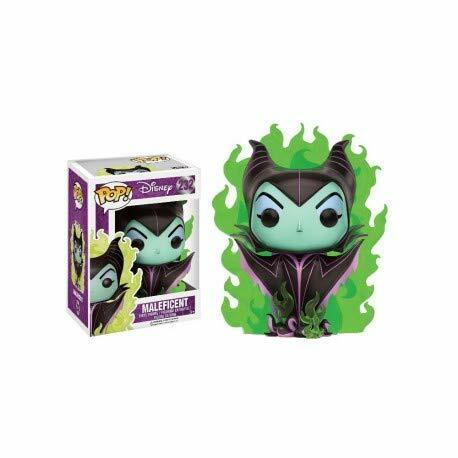 If your kids loved Sleeping Beauty as a child, they might love Maleficent as they get older! 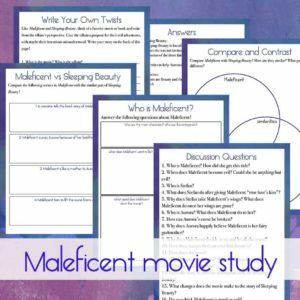 Our Maleficent Movie Study is a great way to turn a lazy day into some fun learning! 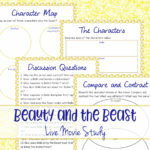 This printable pack includes discussion questions, character analysis, compare/contrast characters and stories, and creative writing. 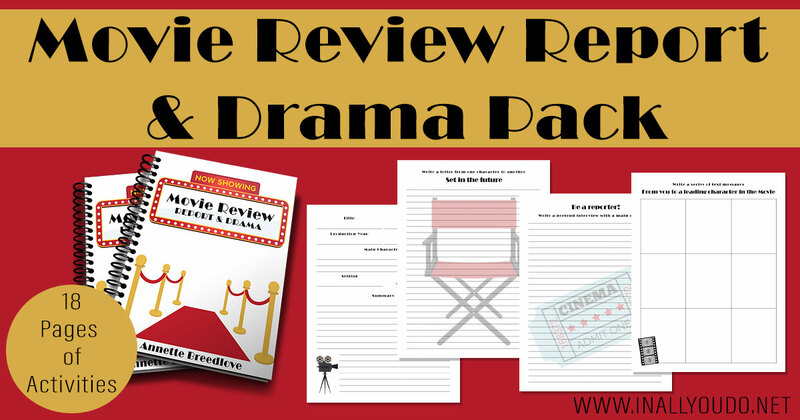 Due to the rating of this movie, this movie study is geared toward older children. Please use your discretion when viewing the movie with your children. These discussion questions are perfect for kids of all ages. Discussion questions help improve comprehension as they watch the movie. Have children watch the movie first for fun and then try the questions. If they have trouble, you can always have them re-watch the movie another day paying closer attention and listening for answers to the questions. You can ask the questions in a group format or give each child a copy of the questions and have them write out their answers on their own paper (which I recommend for older children), thus sneaking in a little handwriting and spelling practice too! This is also a great prep to essays! 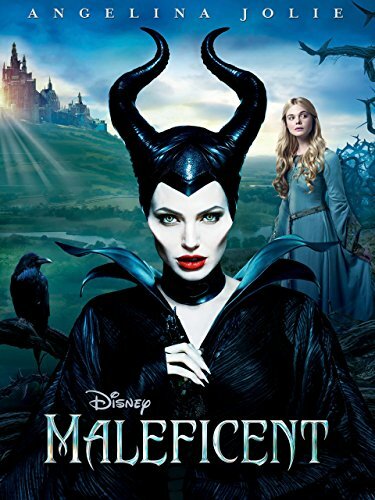 This page is a great pre-cursor to writing a more detailed descriptive essay about Maleficent – the character. 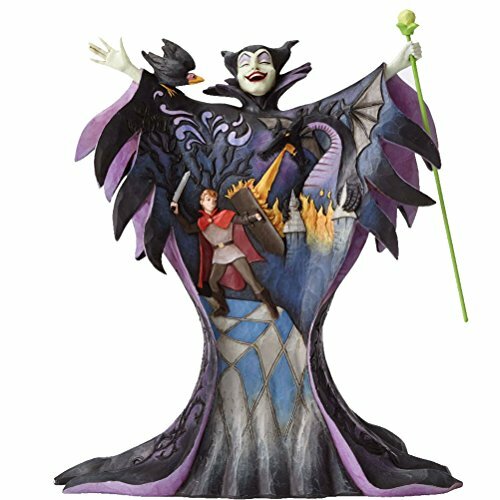 With this page, students can work through the character of Maleficent piece-by-piece, thus creating a solid analysis of her character, behavior and thought processes. Helping them recall and retell what they remember from the movie is a great way to prepare them for book reports and research papers down the line. This is also a great lead-in for a descriptive or expository essay. There are two compare and contrast sheets in this printable pack. 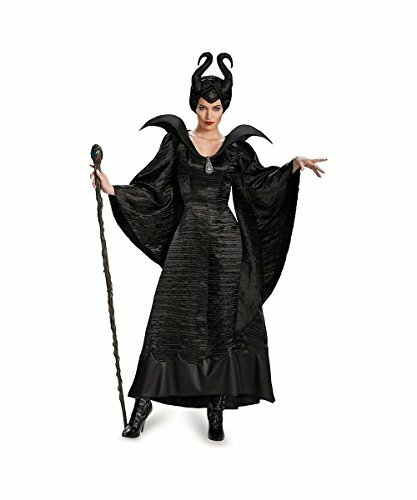 On the first page, students will compare scenes from Maleficent with comparable scenes from Sleeping Beauty. This is a fun way to help kids see the difference between the two movies. 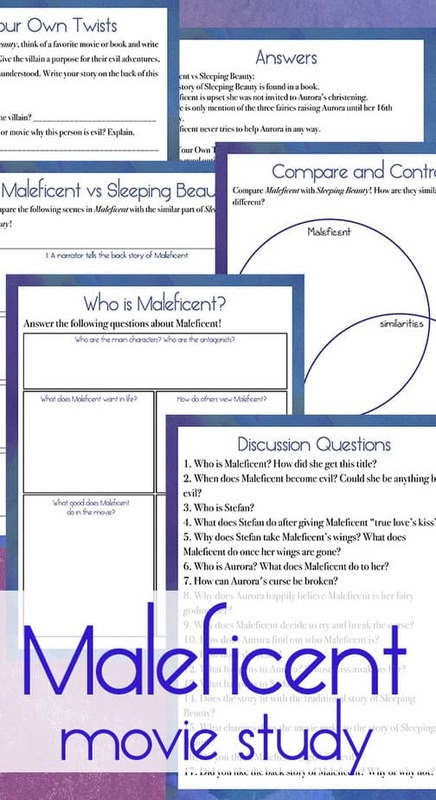 The second page is a compare and contrast zen diagram to help students describe Maleficent and Sleeping Beauty (the characters), which sets them up for both a descriptive essay as well as an expository one. This is a fun page to help kids create their own fictional story. This is a fantastic way to help them stretch their imaginations as well as work on their own creative writing skills. Use this page as a jumping off point for a larger creative writing paper/essay. 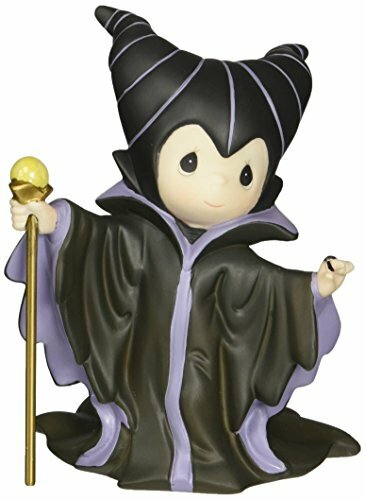 Maleficent is one of my favorite live-action films. I love the blend of magic with the mythical story and human interaction, it is fantastic! 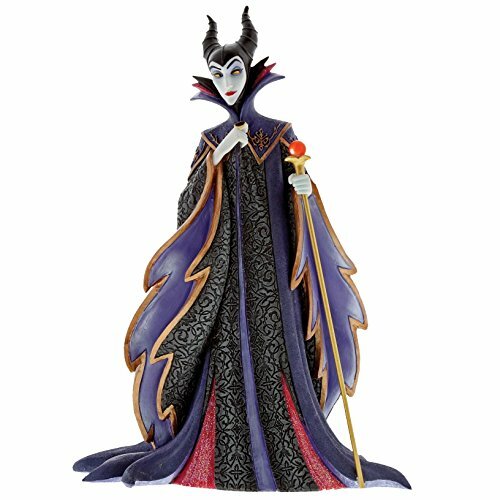 If your older kids love the story of Sleeping Beauty, they might just love Maleficent too! 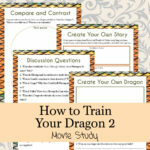 Be sure to download this movie study to use with them!